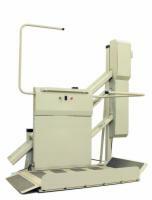 An Incline Platform Lift is basically another form of stair lift. Some people refer to them as a wheelchair stair lift. 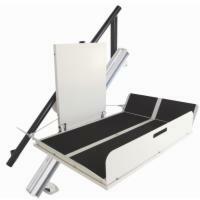 The incline lift enables a wheelchair bound individual to climb stairs effortlessly with the touch of a button. They are much easier to install than a vertical platform lift, and significantly easier to use than a standard stair lift for someone who has trouble getting out of their power chair or scooter. If you're not sure if an Incline Platform Lift is the right solution for you and your home, give us a call. We're here to help you find the perfect lift for your home that will get you where you need to go!